NAIROBI, May 11, (Xinhua) — China and Kenya signed a co-financing deal on Sunday to build a railway linking Nairobi to Mombasa, a critical infrastructure project to boost regional trade and deepen integration in East Africa. Speaking at the signing ceremony, Li said the presence of the African leaders and their representatives demonstrated African countries’ common desire to develop railway network in East Africa. During his Africa tour, Li had said that China is willing to join hands with Africa to build the continent’s networks of high-speed railway, expressway and regional aviation. The Mombasa-Nairobi railway is an important part of those networks, he said. The East African leaders said at the ceremony that the Mombasa-Nairobi railway will increase transport capacity of East African countries, accelerate interconnection and regional integration of East Africa and boost East African countries’ economic development. “Chinese companies have to abide by local rules and respect local customs during their operations here, and they have to fulfill their due social responsibilities,” Li said, adding that China-Africa cooperation is not merely about projects, but also means people-to-people exchanges. Since China is the world’s largest developing country and Africa is the continent with the largest number of developing countries, they are complementary in their advantages and their development offers opportunities to each other, Li said. The project shows both China’s commitment to African development and the great strength of China-Africa solidarity and cooperation, they said. 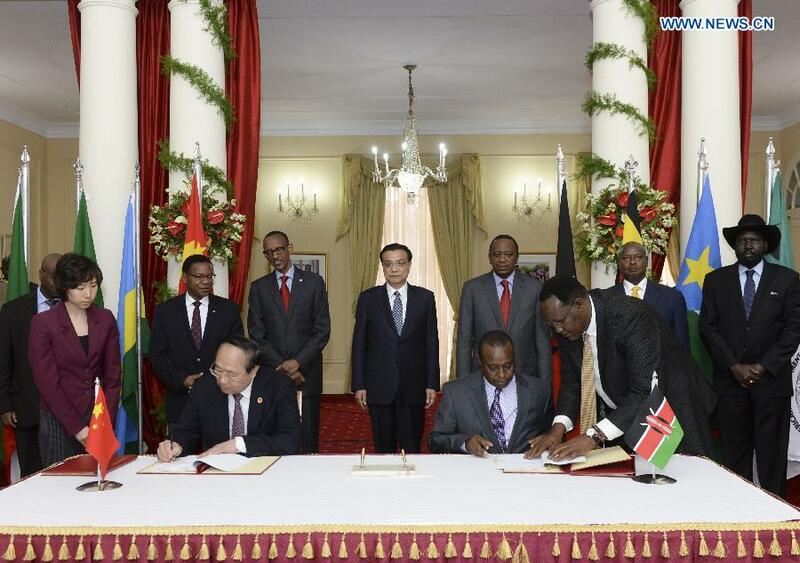 Kenya is the last stop of Li’s four-nation Africa tour, which has already taken him to Ethiopia, Nigeria and Angola.